What is the link between data management and artificial intelligence ? Thibaut de Vylder, CEO of dFakto answered this question during the DI Summit 2018! Discover his intervention on video! 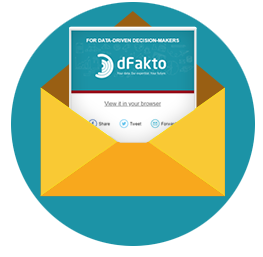 For more than 18 years, dFakto has been supporting companies in the management of their data: from piloting their projects to analyzing the results and through the digitalisation of their operations. In different business lines, we enable our customers to gain in productivity while consolidating quality data essential to the operation of their activities. This quality data is the fuel that makes AI run ! By creating high value-added indicators, analyzing the past to anticipate the future, we are convinced that the only way for artificial intelligence to be truly intelligent when it supports management and the performance of the company.